While it is common for companies like Google to play pranks on their customers on April Fool’s Day. Nokia did something very innovative and something that all of us would hope was true – revived the legendary Nokia 3310 with grandeur. Remember the ultra-durable Nokia 3310? On the occasion of April Fool’s Day, Nokia has announced that the handset is making a comeback with modern day style, which clearly is a prank we all hoped would be true. To make their story more believable, the company took time to detail out the minute specs of the reborn handset. First off, the Nokia 3310 in question, sports the exact same design but with a 3 inch ‘ClearDiamond’ touch display. Further the keypad is replaced with three ‘soft-touch’ navigation keys along with a home button. More importantly, the phone is said to run on a modified version of Windows 8. Would be even more fun if they had to say Android. If you are already flabbergasted, there is still more. 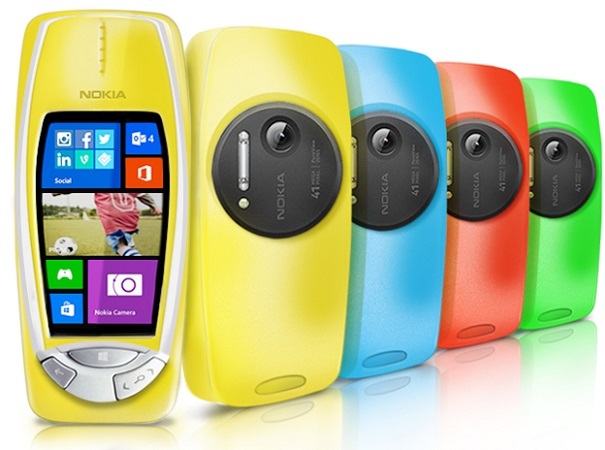 The Nokia 3310 remake is said to feature the massive 41 MP PureView camera that was introduced in the Lumia 1020 complete with the Xenon flash and Zeiss optic lens. While it’s sad to end this saying that it’s just a prank, wouldn’t you like to give the Nokia 3310 a second life?